Although it was snowing outside, spring was already in the air inside. 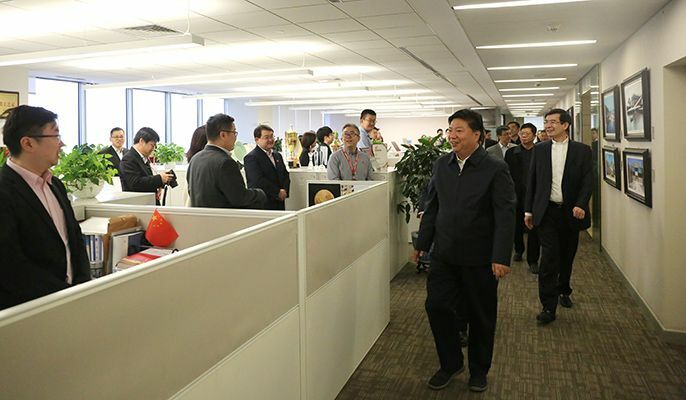 On the morning of February 12, the first working day after Spring Festival holiday, Guo Wenqing, General Manager and Deputy Secretary of Party Committee of the Group Corporation and Chairman of MCC Group, led a group of leaders of the Group Corporation, to send greetings to all the departments at the headquarters, the Minmetals Plaza, and to some staff from the subsidiaries directly under the Minmetals. They sent the greetings of the New Year, encouraged the staff to work hard, and wished the staff a wonderful beginning and a successful new year. Guo and the group visited the General Office, Strategy Development Division, Enterprise Management Division, Finance and Treasury Division, Human Resources Division, Capital Operation Center, Supervision Bureau, Patrol Office, Party-mass Relationship Work Division, International Business Management Division, Science and Technology Management Division, IT Management Division, Safety and Environment Division, Audit Division, Legal Division, Procurement Management Division, China Metals and Mining Economic Research Institute, Audit Shared Service Center, IT Center, Minmetals Land Limited, Minmetals Exploration & Development Co., Ltd., Minmetals Innovative Investment Co., Ltd., Minmetals International Trust Co., Ltd., etc.. Guo shook hands with heads of the departments and staff, asked them about their work and lives, and thanked them for their hard work over the past year. 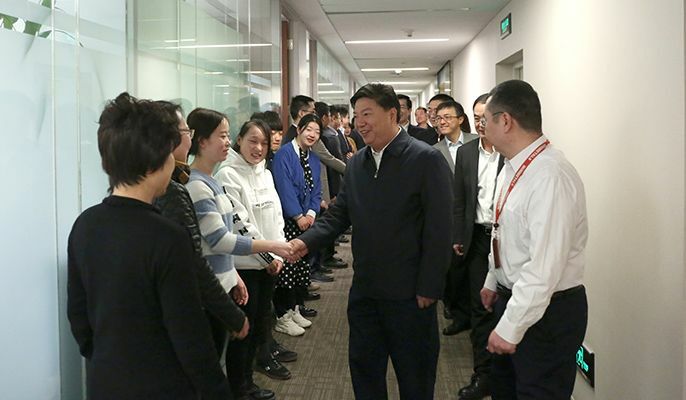 He also wished them good luck and sent greetings of the New Year, and encouraged the staff to be enthusiastic and ambitious in the coming year. He wished all departments and subsidiaries to start with a new beginning, and have new achievements in the New Year. 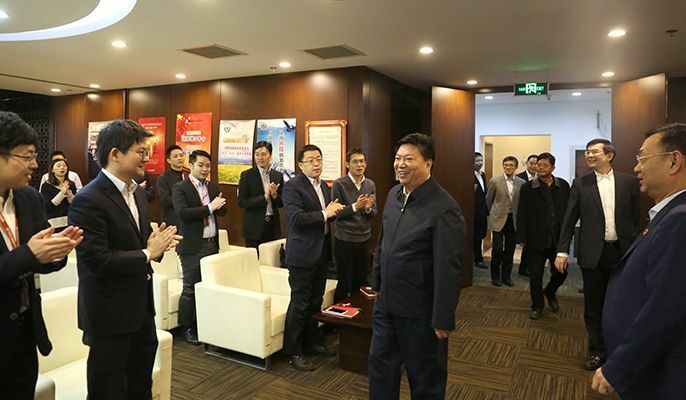 Leaders of the departments and subsidiaries and the staff warmly welcomed Guo and the Group leaders along the corridor, thanked them for the encouragement and greetings, and said they would do their own jobs well, to contribute to the Group's future development. 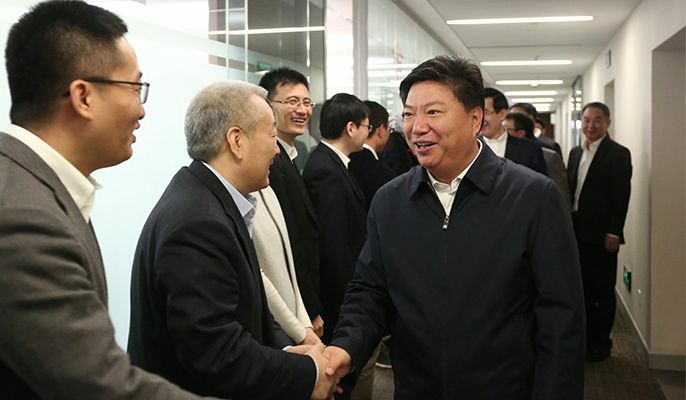 Guo Wenqing and other heads of the Group are sending greetings of the New Year to the staff and heads of the departments at the headquarters, and some directly affiliated institutions in Beijing.